MOSCOW, March 16. /TASS/. 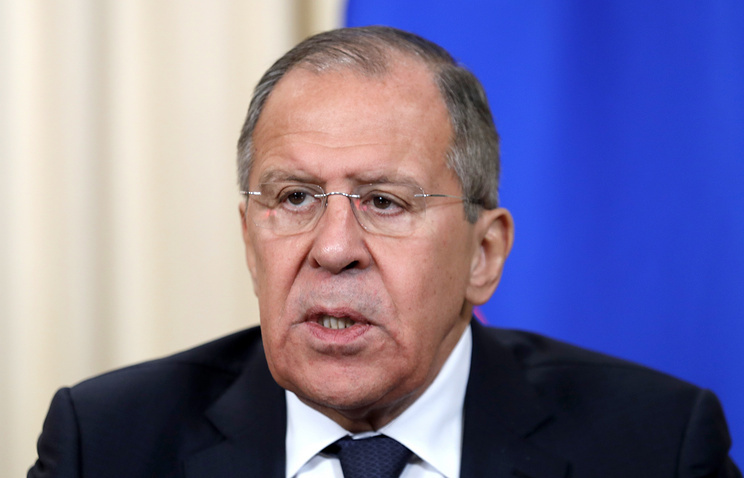 Russian Foreign Minister Sergey Lavrov was warned the US administration against provocative actions aimed at breaking down a possible meeting between US President Donald Trump and North Korean leader Kim Jong-un. "Even when US President Donald Trump said he was ready to meet with North Korean leader Kim Jong-in and settle all the problems, US presidential administration officials rushed to say that further pressure on Pyongyang was needed as it had backed down," he said in an interview with the Vietnamese and Japanese media ahead of his visits to these countries. "Such things are not practices in diplomacy," he said. "When a meeting is agreed, the sides typically try to cherish such an agreement rather than call for actions that can be seen as provocations aiming to break down a summit." Minister also said that Moscow will be glad if a meeting between the US and North Korean leaders, Donald Trump and Kim Jong-un, actually takes place. "It filled us with hope when the North Korean and US leaders, Kim Jon-un and Donald Trump, announced their readiness to meet personally. If such a meeting does take place, we will be only happy," he said. Moscow, in his words, hails the progress towards dialogue between Seoul and Pyongyang that was made ahead of the Olympic Games in South Korea’s PyeongChang. "We think that the impetus was given when the parties found the resolve to use the Olympic truce and send each other positive signals," he said. "We hail that and wish success to forthcoming contacts, first of all, to the inter-Korean summit, which, according to our colleagues, is to take place in April." Speaking to journalists in Washington on March 8, South Korea’s national security advisor said US President Donald Trump was ready to hold a meeting with the North Korean leader by May 2018. However White House Press Secretary Sarah Sanders said on the following day that Trump’s meeting with Kim would take place only after Pyongyang took concrete steps to roll back its nuclear program.